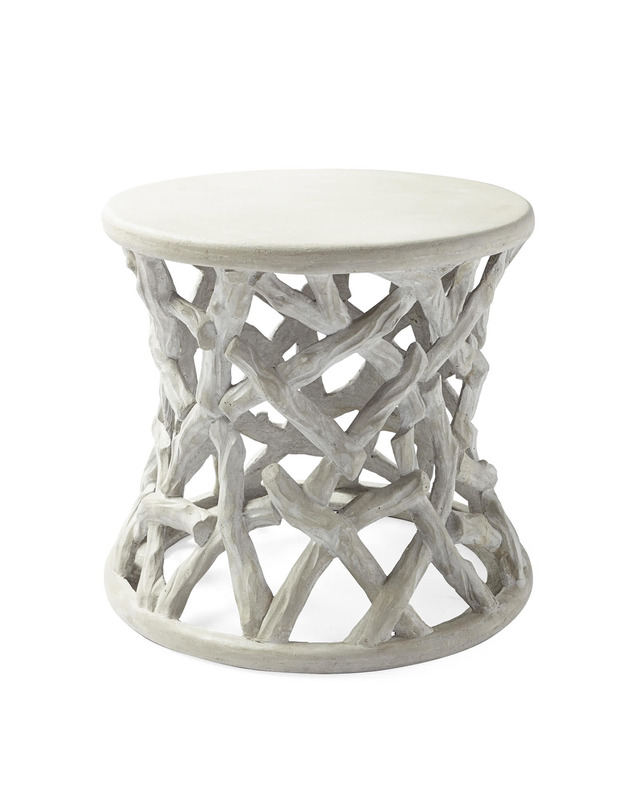 Vineyard Side TableVineyard Side Table, alt="Vineyard Side Table, "
Print Paying homage to the French faux bois tradition, we fashioned this table from reconstituted stone. 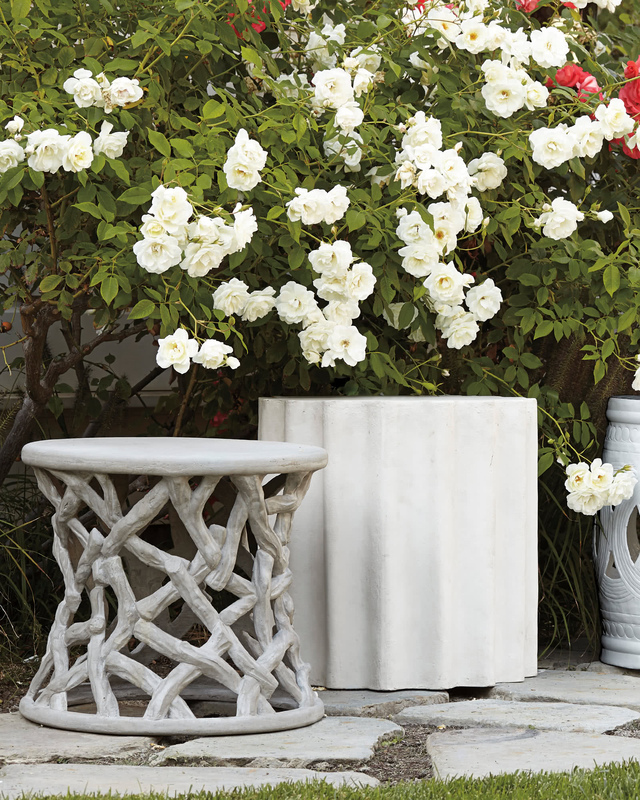 Tuck one into each spare corner as a plant pedestal or as twins flanking an outdoor sofa. 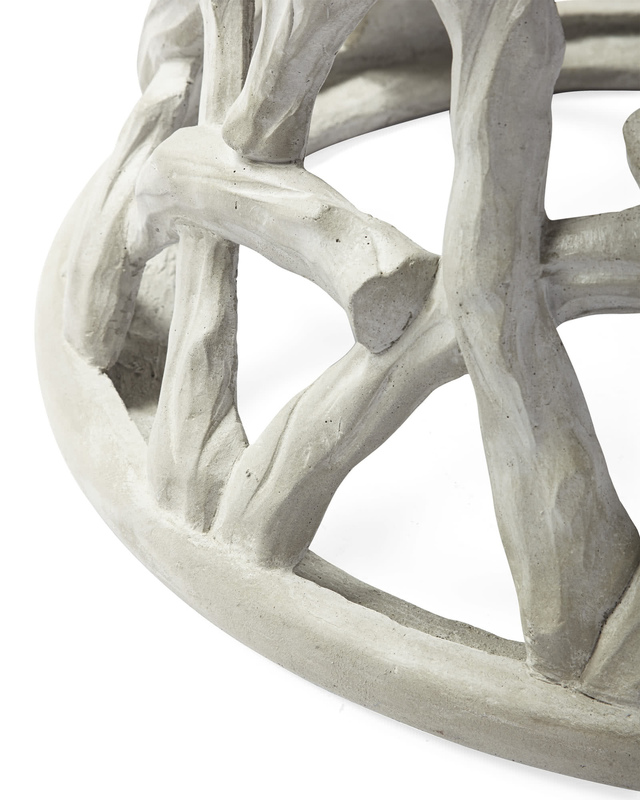 Either way, the bespoke sculptural shape adds dramatic depth. 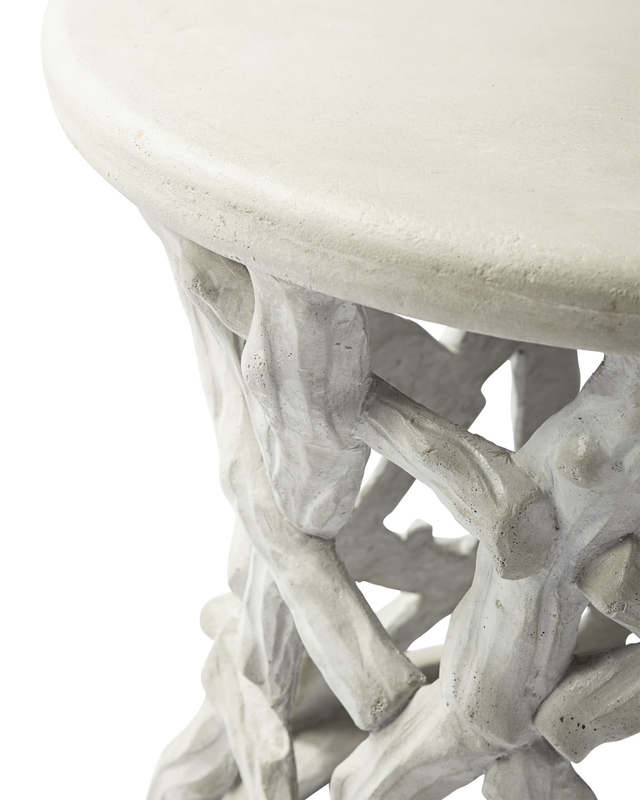 Crafted from gray reconstituted stone.